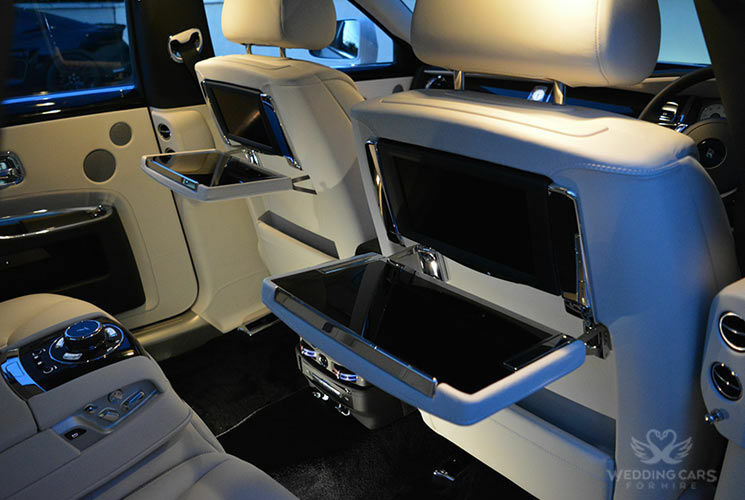 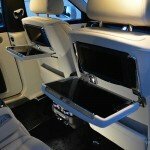 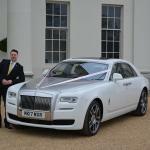 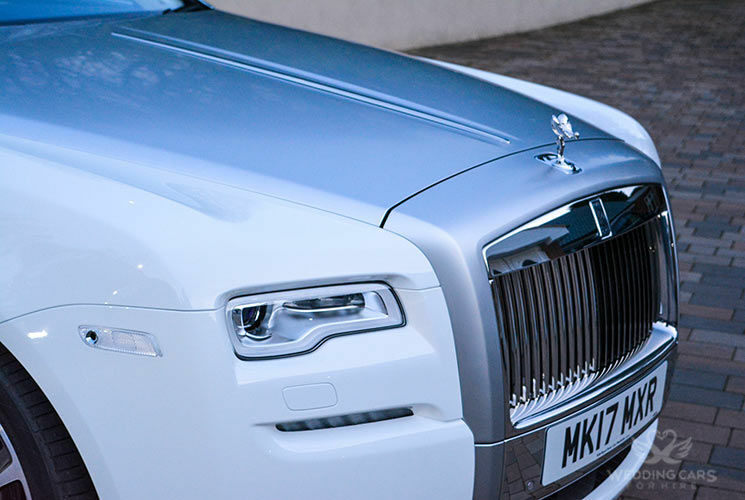 The Rolls Royce Ghost Series 2 is everything for any occasion, Weddings, corporate or special occasion. 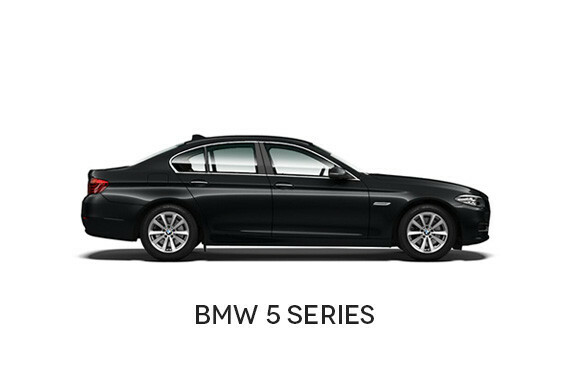 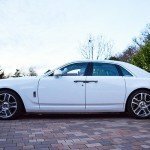 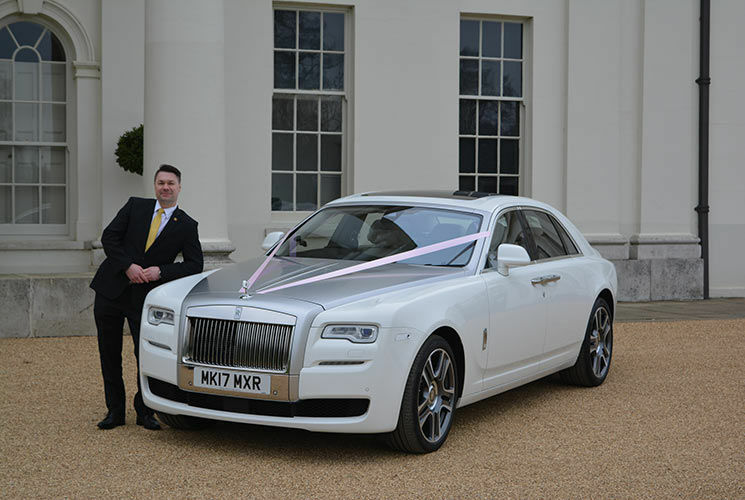 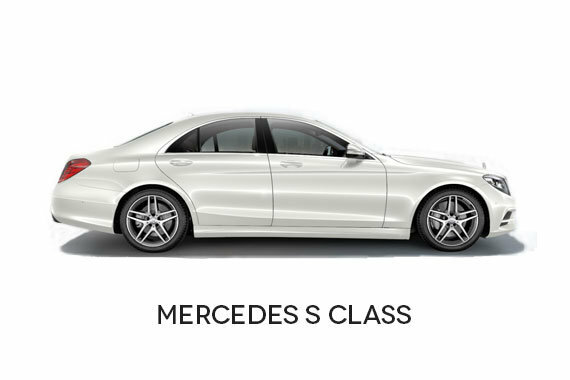 Available for our luxury chauffeur services, For Brides, the Ghost is also available in an extra-long wheel base, which is spacious and comfortable ensuring you have enough room for your dress and relaxation on your transfer to the Wedding. 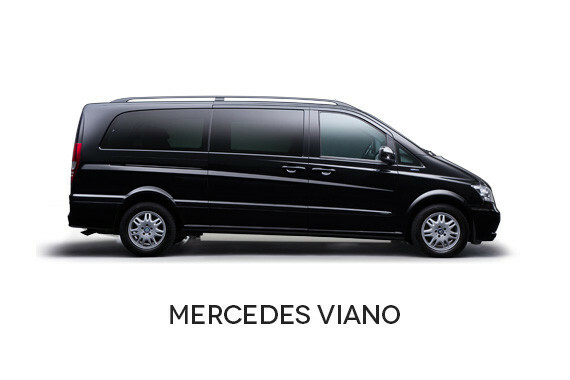 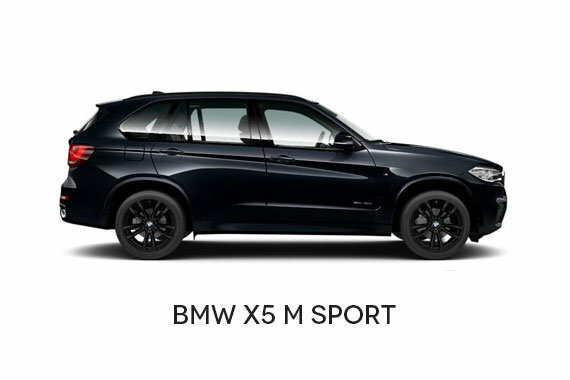 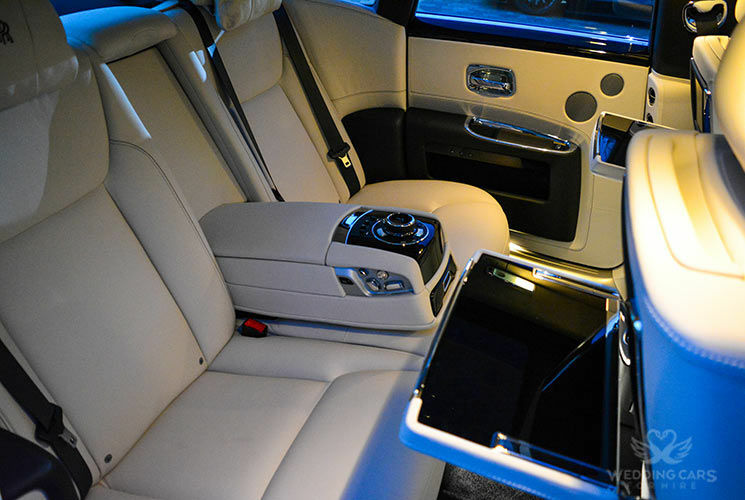 We have an option of the rear bench seats which can seat up to 3 passengers in rear or the rear captain seats option which seats two, ideal for just the bride and groom to be transported on their special day. 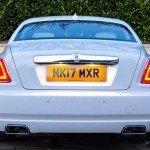 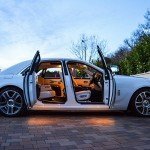 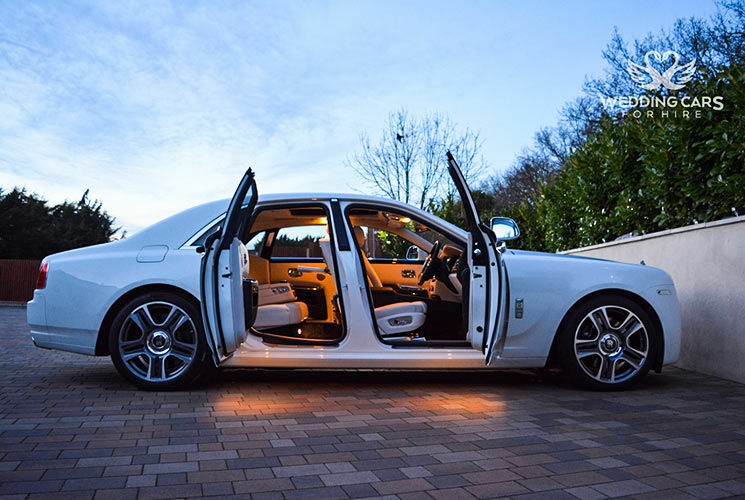 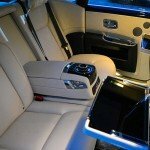 The Ghost is a Rolls to take when the parking is tighter and the chauffeur’s got the day off. 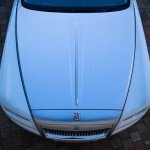 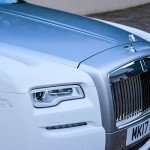 Smaller, in the same way a tanker is to a supertanker, the Ghost keeps Rolls-Royce’s imperious manner but with slightly more bluff edges and not quite as aggrandising a front grille. 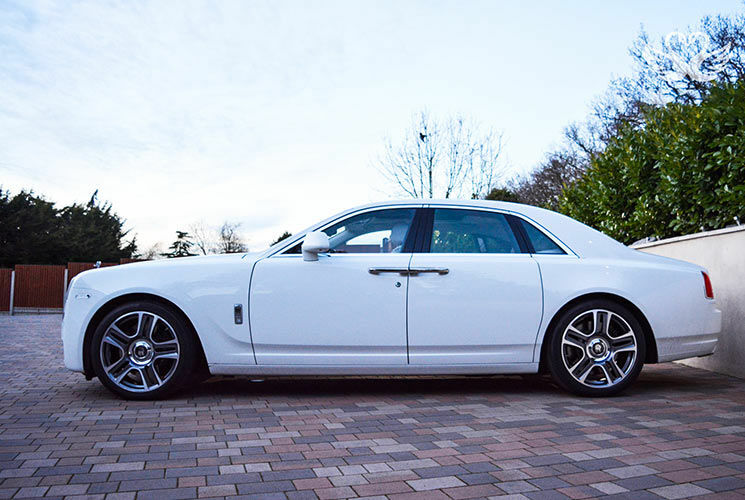 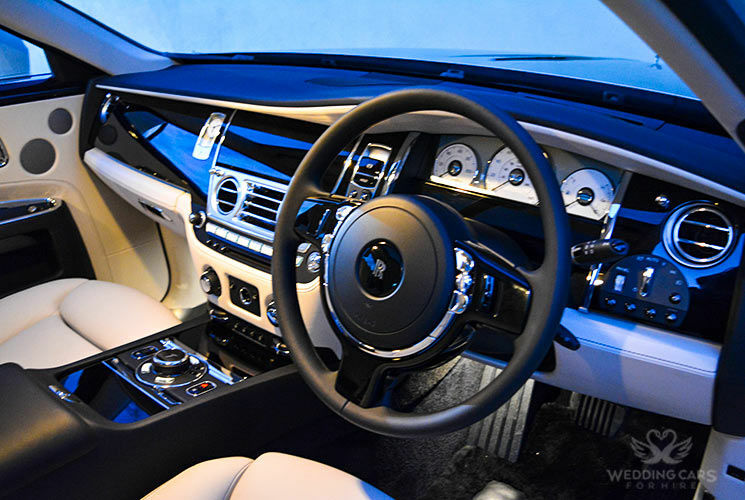 coming from a company that still refers to its products as ‘motor cars’ the Ghost retains old-world charm and luxury despite being largely based on a BMw 7-Series’s gubbins. 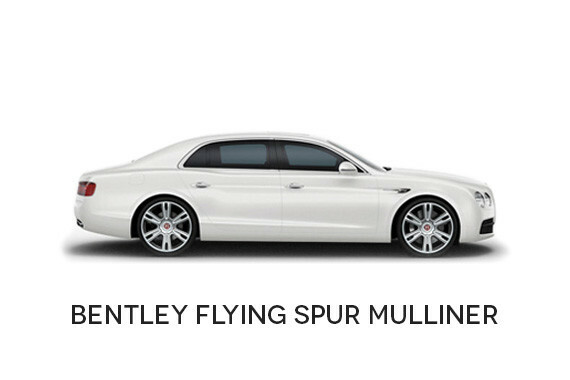 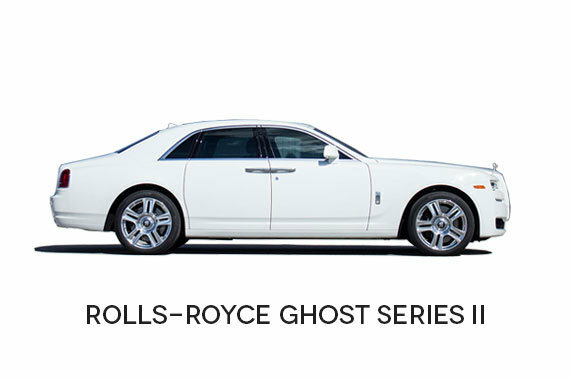 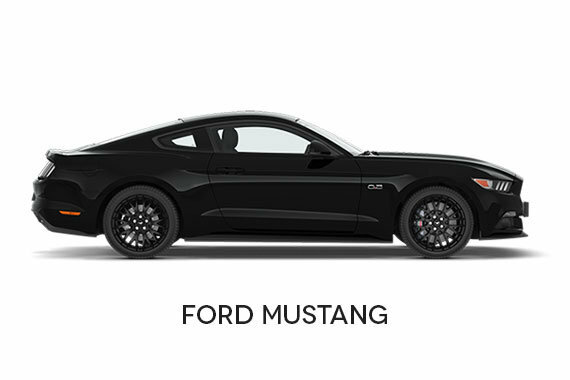 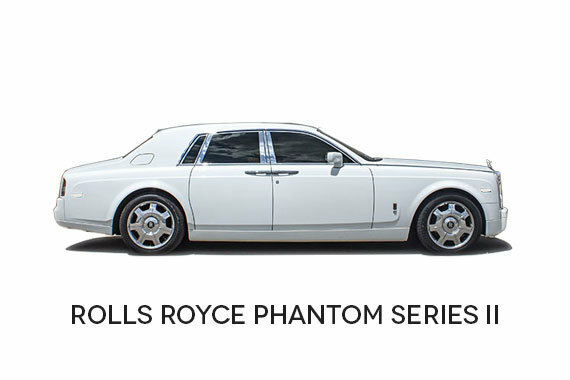 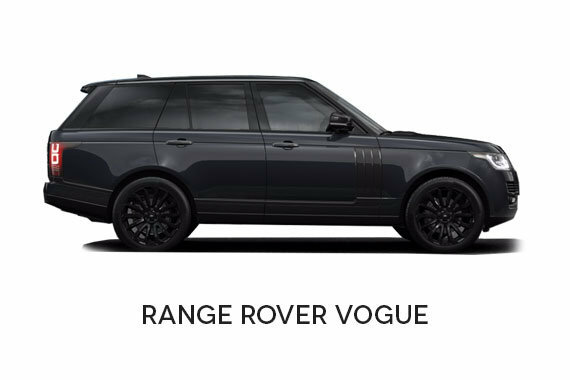 Now in 2015 Series II guise, the Ghost is closer than ever before to its big brother – the venerable Phantom. 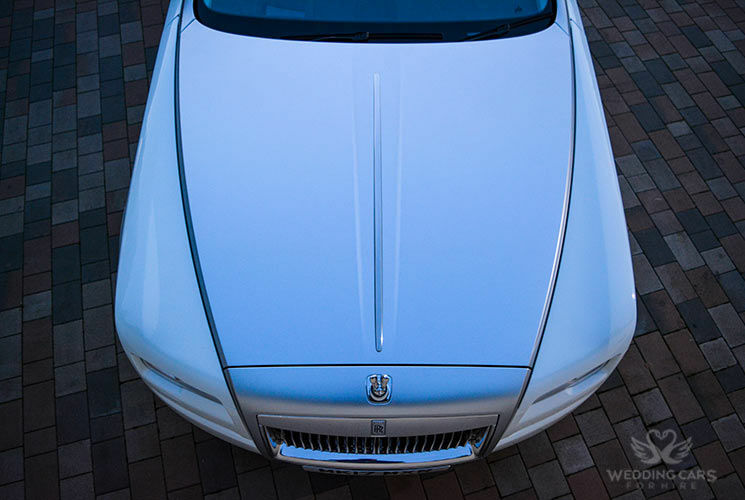 Every single panel on the front of the car has been changed. 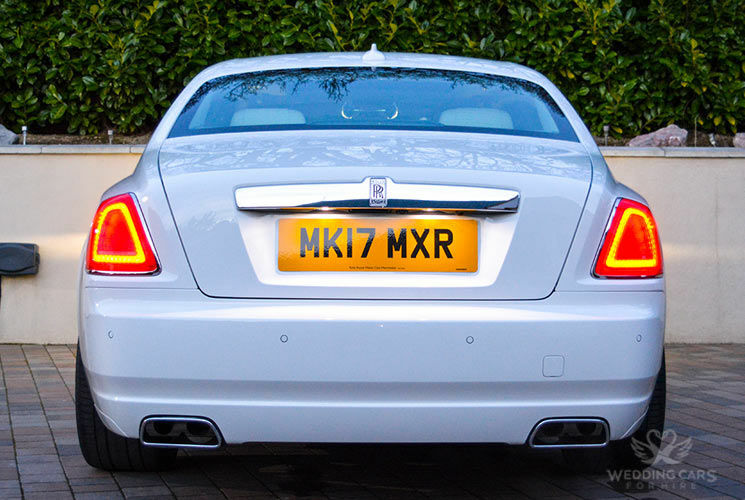 There’s new LED headlights, some new interior tech’, and even a satellite-aided gearbox.